Quilting is such a massive subject if you’re just starting so here are my top tips for beginning Quilters! Learn the terminology! It might seem obvious but it’s surprising the amount of would be quilters who try to start a project without knowing any of the common terms used. Stitch in the ditch, drop the feed dogs, quilt block, quilt sandwich (no this isn’t something you eat), to name just a few. If your instructions tell you to piece together the quilt blocks, then make a sandwich using the batting, followed by some free motion quilting, would you be able to follow without any frames of reference? Probably not! 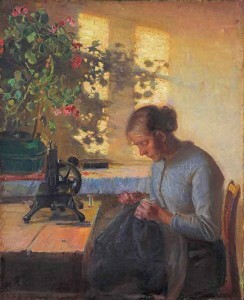 Sewing by hand with a needle and thread is probably the easiest way for beginning quilters to start quilting. I know, you want to get going quickly, but trust me this is the easy way to get the “feel” for quilting! You can use hand sewing to piece together your first quilt blocks. Even if you own a sewing machine it’s good to start with this. Choose a simple pattern for your first project. There are thousands of beautiful quilt patterns, but there’s nothing guaranteed to put you off quilting quicker than choosing a project that is to ambitious for you. Making quilts with larger pieces and using squares and rectangles, is good for a first project. There are less seams to sew which means you’ll be able to sew it more accurately and have less room for error. Craftsy have some great free tutorials like this charming baby quilt where you’re taken step by step through the process of creating a quilt. 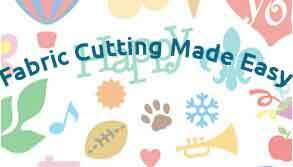 Choose a pattern than you can get pre-cuts for. These are packaged fabrics that are already cut into different shapes and sizes. “Fat quarters” are probably the most common, being 18” x 22” pieces of fabric. Jelly rolls and charm packs are other types of pre-cuts. Look for a beginners class. Ideally, finding a local class or group is the best way to get started. By taking even one beginner class, you can learn the essentials of quilting and be on your way to creating some great projects. If you can’t find any then on-line tutorials are the next best thing, a Google search will find you plenty. There are also a ton of YouTube videos suitable for beginners, like this one. When searching for patterns look at the ability level, they are usually identified “beginner” or “novice.” Craftsy quilting patterns are all searchable by ability level and many are free. Use straight line quilting for your first projects. Don’t try any fancy free-motion for your first projects, you’ll only get disheartened when your project doesn’t turn out the way you expect. Accurate Seams are very important so use an accurate 1/4” seam! Small difference of even 1/8th adds up quickly as you put blocks together. A seam too big can result in your quilt being 3” smaller than it’s supposed to be. The simple solution is to use a 1/4” foot. Practice you 1/4″ seams on scrap fabric before you start your first project! Press the seams with a good iron and iron in the direction the pattern calls for is worth the effort. It all goes together better and you end up with a nice flat quilt top. Use decent thread or your quilt will end up messy looking. You need the thread to be low lint and fine for nice flat seams. You can read more about thread here. Don’t be afraid to unpick! This is your chance to improve and guaranteed, if there’s a fault you’ll always know it’s there. I know it takes time, but just view it as part of the process of creating your masterpiece quilt! And lastly, don’t go rushing out buying tons of tools or the most expensive sewing/quilting machine. If you already have a sewing machine, use that to start with. You can decide whether to upgrade your machine later. If you don’t have a sewing machine, don’t rush out and buy one, all you really need to get started is a rotary cutting set , a quilting ruler and a good pair of scissors. Of course, other quilters will have their own top tips for beginning quilters. These are just mine based on previous experience and learning the hard way! Thank you for this article it has been very helpful. I have a sewing machine and have wrote down some of the tools I need to get started. My only draw back is the room to work as I live in an rv and the kitchen table is the only work space I have. I have ask if anyone here knows about quilting with no luck. We are working at a rv park and will be here till Oct 2016. However in the meantime I will just read your post.